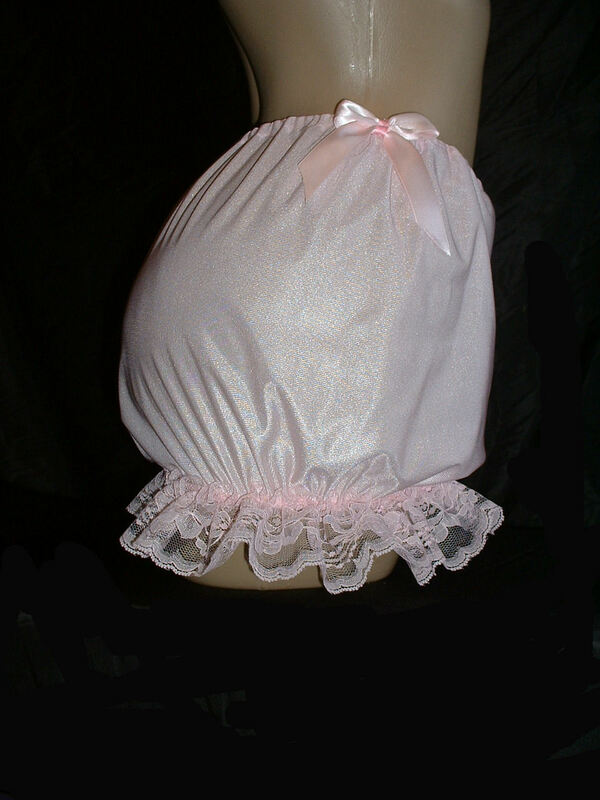 Silky soft 40 demier TRICOT lingerie nylon fabric, soft elastic waist & legs, ruffled lace around the legs, could be use as a nappy cover, pretty flowers and bows. ENTER Waist & Hip measurements in the MEMO FIED. ROYAL BLUE - LT. PINK - LT. BLUE - LAVENDER - CHAMPAGE - TEAL - BLACK - WHITE - RED - IVORY.